Featuring AAT – Animated, Acoustic Typeface – Unfolded by FL@33's Tomi Vollauschek. 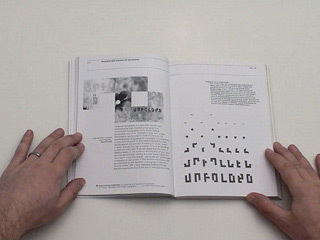 Shown are stills from the typeface Unfolded but also a foldable poster that tranforms to the letter 'a' when fully unfolded. ___ Excerpt: 'Only that which is absent can be imagined.' Marcel Proust. 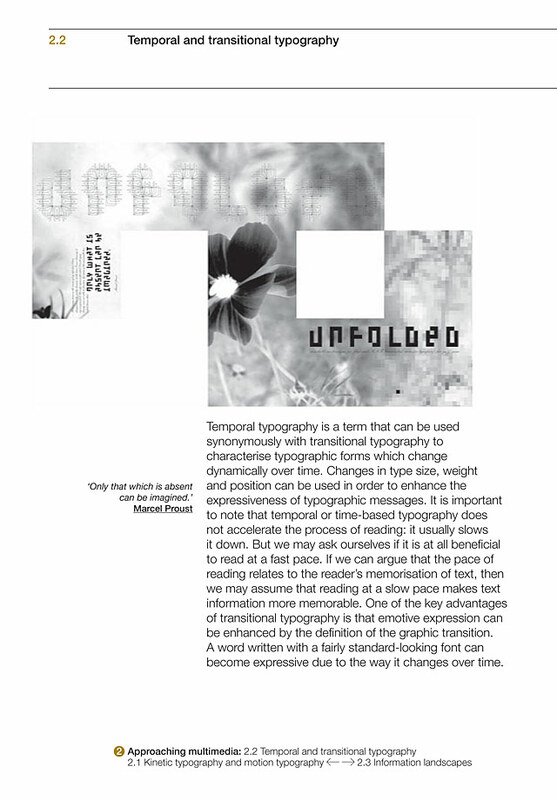 ___ Temporal and transitional typography: Temporal typography is a term that can be used synonymously with transitional typography to characterise typographic forms which change dynamically over time. 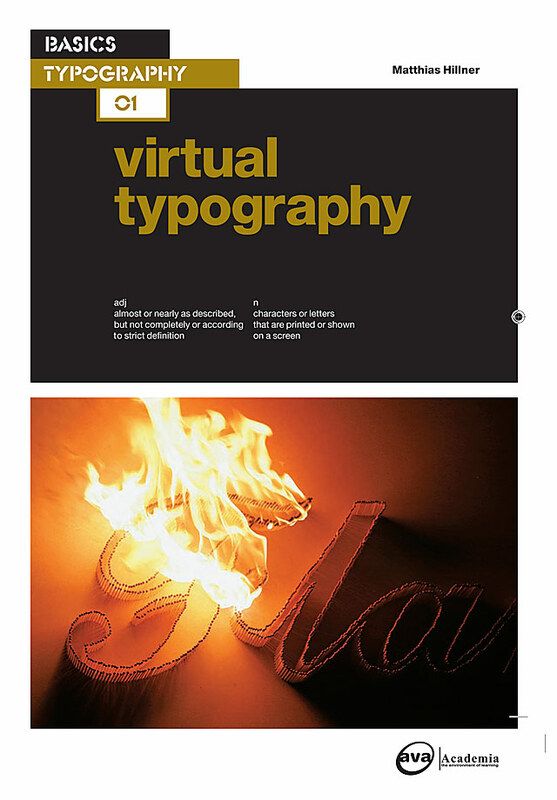 Changes in type size, weight and position can be used in order to enhance the expressiveness of typographic messages. It is important to note that temporal or time-based typography does not accelerate the process of reading: it usually slows it down. But we may ask ourselves if it is at all beneficial to read at a fast pace. If we can argue that the pace of reading relates to the reader's memorisation of text, then we may assume that reading at a slow pace makes text information more memorable. One of the key advantages of transitional typography is that emotive expression can be enhanced by the definition of the graphic transition. A word written with a fairly standard-looking font can become expressive due to the way it changes over time. 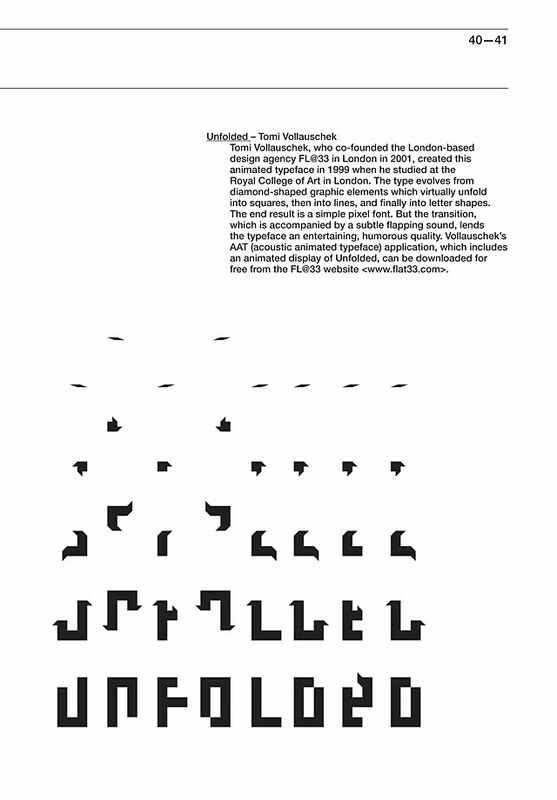 ___ Unfolded – Tomi Vollauschek, who co-founded the London-based design agency FL@33 in London in 2001, created this animated typeface in 1999 when he studied at the Royal College of Art in London. The type evolves from diamond-shaped graphic elements which virtually unfold into squares, then into lines, and finally into letter shapes. The end result is a simple pixel font. But the transition, which is accompanied by a subtle flapping sound, lends the typeface an entertaining, humerous quality. 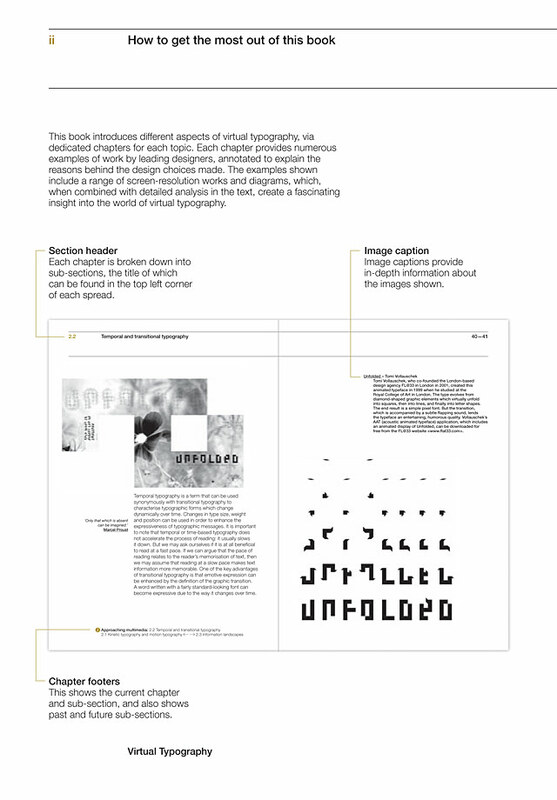 Vollauschek's AAT (animated acoustic typeface) application, which includes an animated display of Unfolded, can be downloaded for free from the FL@33 website, flat33.com.